At some point, ensnared in a state of overwhelming perplexity, we’ve all resorted to using Google beyond it’s primary purpose of finding out about things, to finding out how to do things… ‘How to wear a hairband?’, ‘How to roast potatoes so that they are crispy?’, the somewhat more personal: ‘How to tell someone you like them’, or even, ‘How to stop eating biscuits?’ (as a friend who shall remain nameless once got caught typing into her laptop after proudly announcing she had given up the cuppa companions for Lent). Within moments of typing up our query, thanks to the world wide web and all whom who contribute to it, we finally have the answers for which we have been so strenuously looking, and all appears right with the World again. This evening I found myself turning to Google once again. After several weeks of feeling exceptionally tired despite maintaining a somewhat healthy diet and regular exercise, I wanted to see if I could source any good tips on how to feel more energetic. I had only typed in ‘how to feel’ when up popped Google’s auto-complete tool with the suggestion of ‘how to feel happy’. And – somewhat ironically – that made me feel sad. Out of every emotion or state of being, the one most people seem to struggle to find – according to what’s most commonly typed into Google – is happiness? I’m not denying that happiness isn’t an easy state to reach. There are enough awful things going on in the world today that you’d probably need to live self-sufficiently in a cave, twenty feet below the ground, alone, wearing oven gloves and a blindfold in order to not see, hear or feel any of those negative things (and who’d want to live like that, anyway?). Life is just not easy, for anyone, and constant happiness is an impossible task. I should also acknowledge that people are hardly likely to try and search for something that they do not want, and that’s probably why something like, ‘how to feel like a depressed gargantuan‘ is not higher up in the pecking order of Google’s auto-completed suggestions. But those things aside, the very fact that so many are resorting to Google to try and find out how to feel an emotion that everybody deserves access to, is nothing short of alarming. Deep down, I consider myself to be an overall positive person. Occasionally it’s resulted in me being accused of being naive, and out of touch with the ‘grim reality’ of the world. Actually, it’s acknowledgement and awareness of that ‘grim reality’ that somehow seems to fuel my positivity. I’m certainly no eternally grimacing Polly-Anna. I cannot smile during what is clearly despair. I have a fair few anxiety-related issues that I mainly keep to myself. I worry a lot and can sometimes take things too personally. But it’s those not-so-good ways of feeling that make me take stock of and value all the good things in my life even more, no matter how big or small, or make me instigate the changes that I know I need to, and ultimately that cheers me up. And so all in all, I am not a naive rag-doll who cannot understand why the whole world isn’t happier, I am nothing more than a complete hybrid of emotion. But I still think that it says something of concern when, according to Google, a lot of our folk are trying to work out how, or why, they should be happy. And then it makes me wonder, is this sense of general dissatisfaction a by-product of the very nature of the society in which we live? Those of us who live in the West are extremely fortunate to do so. Whatever you like or dislike about Britain, you cannot argue with the fact that by being a British citizen, you have access to a lot of things that many people in the World do not – fresh running water, free healthcare, free education, basic living costs, shelter, food. We take those things for granted every single day of our lives, and then we display shock and surprise when humanitarian efforts such as Comic Relief evidence that there is a far less rosey life beyond all that. As a society we gape alongside Z-list celebrities sent out to deepest Ethiopia to fawn over dying children, and then inform everybody that we’ve ‘done our bit’ by pledging £5, before heading to bed with a Rich Tea and glossy magazine when we then seem to forget all about it until the next year. On top of the basics that we have, we also enjoy a lot of luxuries here in Britain, luxuries that over the years have virtually morphed themselves into ‘basics’ – such as widespread internet access, mobile phones, cars, video-games, holidays. We also enjoy a pretty remarkable set of human rights and freedoms, some of which are barely decades old – indicating that we live in a society that actively recognises and promotes everybody’s right to a decent life. Provided you don’t seek any harm to others, you can pretty much be whoever you want to be, and do whatever you want to do, in Britain. Our women are no longer oppressed by inequities within the law, and our children have more choice than ever before about the kind of paths they wish to pursue in their education and later careers. We should be the happiest we’ve ever been, but statistics suggest that we’re far from it. More British people than ever before are looking to emigrate. They feel that a better quality of life can be found elsewhere. They’re not fully content with what they have here… and part of me wonders if they’ll ever be content with what they have anywhere, because it seems to me that our society as a whole just does not know when to stop looking for or wanting more. Remember when mobile phones first became popular? 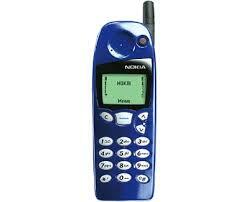 An old Nokia ‘brick’, with enough storage for about ten text messages, and an in-built game of ‘Snake’ was all people wanted, and that was enough. Nowadays, most people couldn’t entertain the thought of possessing a phone with such basic features. They’ve become accustomed to having the internet at their finger-tips on devices that can pretty much do anything besides wipe your bum for you (and even then… I give it time…). Vast technological improvement in the past few years has seen things that were once luxuries transcend into what now appear to be basic needs, and a lot of people – myself included – seem to have forgotten how they managed without. For sure, things shouldn’t necessarily cease developing just for the sake of humility, but it’s down to individuals themselves to invest their own personal time into reflecting on the difference between what it is they really need in life, and what it is they think they need, because the truth is, it really shouldn’t take much for people to be happy. Varying circumstances aside, it’s certainly not the sort of thing that anybody should ever feel the need to resort to a faceless internet search engine to try and find. Is unfulfilled desire at the root of a lot (but not all) unhappiness? I’ve certainly come to think so, and instances such as the recent killings in the U.S by a young man frustrated by not having the intimate relationship he wanted with a female seem to only make me believe it even more. And stories like that frustrate me so much because that young man had so much that so many others can only dream of, but he didn’t realise it because he was too fixated on the things he didn’t have. And that’s just typical.